The UK death rate has reached a tipping point with numbers of deaths expected soon to begin rising after falling for decades, suggests a BBC report. The oldest of the post war baby-boom generation, born in 1945, will turn 70 this year says the International Longevity Centre (ILC-UK). The number of deaths is likely to rise 20% over the next 20 years, suggests an analysis of official figures. The increase is likely to push up funeral prices, say the authors. Since the 1990s the number of deaths in the UK has seen a downward trend, but this is about to reverse, says the report, The Funeral Time bomb, to be published on Monday. Almost 16 million children were born in the 20 years after World War Two, peaking at 881,026 in 1947, say the authors. As a result of their ageing, the proportion of our population aged over 65 is projected to rise from around 18% today to over 22%. The greying of the baby boomers also means that an increasing number and proportion of the UK population are nearing the end of their lives. The resulting inevitable increase in the number of deaths coincides with the significant increases in funeral costs which are already at an all-time high. With life expectancy for men in this group of 86 and for women of 89, annual deaths in the UK are expected to reach 627,000 by 2037, compared with 521,000 this year, says the report. The growing number of deaths will mean pressure on funeral services and a rise in prices, say the authors. Funeral costs are already “soaring” says ILC-UK, pushed up by a lack of burial space and increased regulation and fuel costs for cremations. 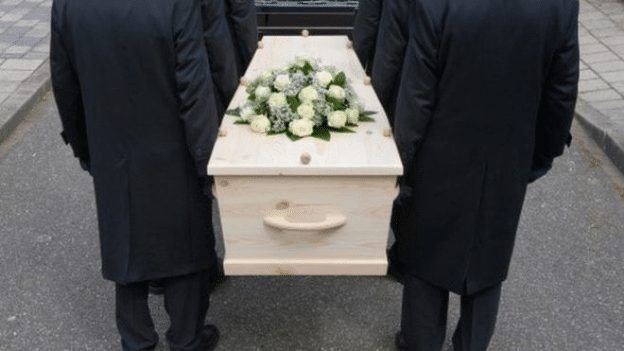 The cost of a “simple funeral” rose 80% in the 10 years to 2014 from £1,920 to £3,590. And when additional costs like flowers, catering and a memorial are factored in, the average funeral spend last year was £5,423. 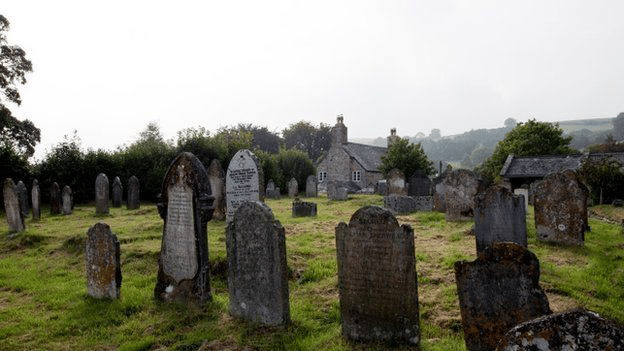 Inflation, combined with pressure on funeral services caused by rising numbers of deaths, could push the average spend on a full funeral to £7,000 by 2024 and on a basic funeral to £5,226, predict the authors. “A growing number of families will struggle with funeral bills,” says the report, with poorer families already being forced into debt. “We all need to talk more about dying and ensure we are prepared for the inevitable,” said ILC-UK chief executive Sally Greengross. The report calls for reforms to state support for funerals and urges more people to take out funeral insurance plans. “While the subject of end of life expenses can be a very delicate one to discuss, the findings highlight how starting this conversation could help avoid leaving loved ones with unexpected debts they may find difficult to manage,” said Simon Markey, chief executive of insurance providersOne Family which commissioned the research.